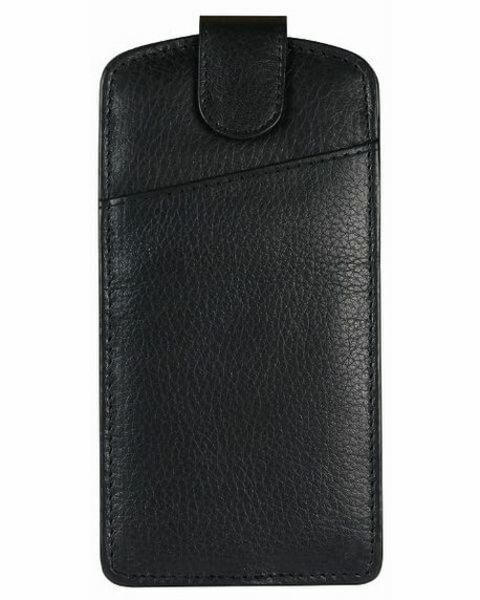 Men's black leather glasses case. Front pouch. Stud fastening. A quality product which I am sure will prove to be very useful. Fab service. Received a friendly email to say items were out of stock and when they would be back in. "A quality product which I am sure will prove to be very useful. " 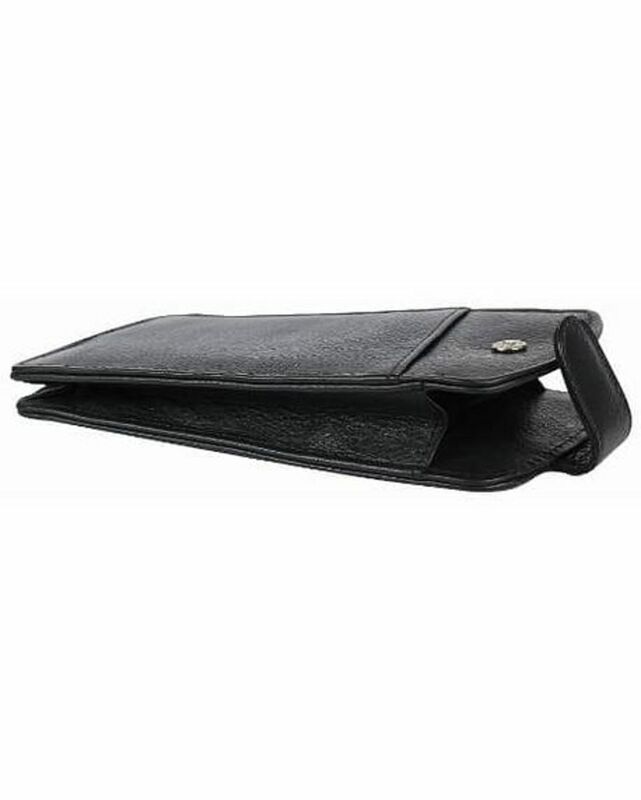 Store and protect your reading glasses with this smart leather case. Secured with stud fastening and with a handy pouch.